By 1977 it was clear that the thermophilic campylobacters were a major cause of acute bacterial enteritis. In response to that observation an international workshop was convened in Reading, England, and attracted over 130 participants. Many of these individuals resolutely returned for the eighth in the series of biennial international workshops, this time held in Win- chester, England, in July 1995. All were surprised at the continued, and even expanding, re- search effort in this narrow microbiological field. Such a lasting interest is undoubtedly a reflection of a consistent rise in the incidence of infection, the growing number of closely re- lated organisms and disease associations, and an ever-increasing awareness by the public and government agencies of public health and food safety issues. 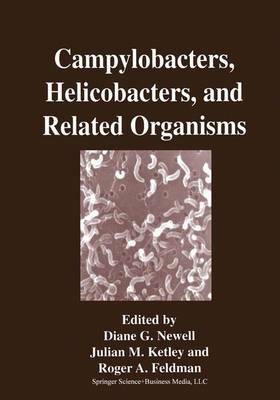 The second workshop in Brussels in 1983 was a forum that demonstrated the growing awareness in the campylobacter community of the existence of campylobacter-like organisms and provided the platform for presentations describing the association of these organisms, now classified in the genus Helicobacter. with gastroduodenal disease. The clinical aspects of the research into helicobacters is now thoroughly covered in several other meetings, and the remit of the international workshop has been expanded to provide a forum for the presentation of the basic microbiological research carried out on these bacteria. In a continuation of this ap- proach the remit of the workshop has been further extended to other related organisms, reflect- ing that there are many other campylobacter-like organisms still to identify and characterize.